This week we have a genuine, bonafide, bestselling author whose novel The Soul Summoner has over 1000 positive reviews on Amazon US alone! Her books regularly hit the top of the paid charts, have jostled for space with the legend that is Stephen King, and her hit series sees its latest addition this week with the release of The Taken. Flyboys by James Bradley. It tells the true story of several fighter pilots during World War II who were shot down over Japan. It’s brilliantly written, absolutely chilling at times. Is The Martian too easy an answer? Ha! Weir has some excellent survival stuff in that book, and if Matt Damon can do it, maybe I can too! If not The Martian, then I’d take something I could totally immerse myself in and read over and over. Harry Potter comes to mind or anything by Philippa Gregory. My husband convinced me to read Wizard’s First Rule by Terry Goodkind a few years ago. I’m not usually a fan of epic fantasy, but dang… those books are amazing. Wizard’s First Rule is the first book in The Sword of Truth series. It has it all: adventure, love, humor, and magic! The Soul Summoner – it’s an ongoing series, and I just released the 4th installment called The Taken. 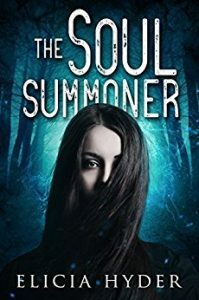 The Soul Summoner is about an ordinary woman with a really inconvenient superpower that she doesn’t want or understand. In the newest book, she finally steps into her destiny and takes charge of her life and all the chaos that surrounds her. It’s funny, exciting, and totally swoon-worthy. I’ve always loved The Ragamuffin Gospel (and anything else) by Brennan Manning. I grew up in the deep South of the US, where religion and closed-mindedness can be more like a plague than a lifestyle. The Ragamuffin Gospel was the first spiritual book I ever read that didn’t make me feel like an absolute failure at everything. It was hopeful instead of condemning, like a salve on the frayed nerves of my soul. This one is easy. On Writing by Stephen King is hands-down the best book I’ve ever read for my career. I read it once every summer like I belong to some bizarre one-woman writing cult. One section of the book deals with writing honestly, without fear of judgment from the people in your life who may read your work. That was life-changing for me because of my aforementioned religious upbringing. It made all the difference in my career. I met King last year and was able to thank him in person for writing it. I cried like I was thirteen and he was Harry Styles. It was amazing. I recommend everyone start by reading The Detective. 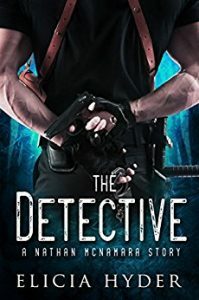 It’s a short read, packed with action and hilarity, that introduces you to one of the leading men in The Soul Summoner series: Detective Nathan McNamara.The tag line is: Robbery, arson, murder…and the one-night-stand that just won’t end. It’s guaranteed to make you laugh, and best of all–it’s FREE. Elicia Hyder had never seriously considered publishing as a career until January 2015 when a New York agency called with interest in one of her novels. Then, on the very same day just a few hours later, she received the opportunity of a lifetime: a cancer diagnosis. Embracing the cliche and vowing to suddenly live life to the fullest and chase her wildest dreams, Elicia pursued the publishing industry full force. With the support of her family and friends, she published five novels and a novella all while enduring chemo and radiation. Now, two years and three clear PET scans later, Elicia is living her dream CANCER FREE! 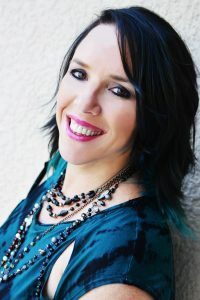 She is a full-time writer of paranormal suspense and lives with her superhero husband, five loud children, and two co-dependent dogs in Central Florida.